An essential guide for newcomers ready to start a meditation practice. With Meditation, expert teacher Shinzen Young presents a clear, easy-to-follow program to help you get your start in this transformative practice. Beginning with a brief overview of the proven physical and emotional health benefits of meditation, Shinzen provides precise guidance in specific practices that can be used by anyone—no matter what your background or belief system—to radically improve how you think, feel, work, and connect with others. Previously released as The Beginner's Guide to Meditation. I have had a meditation practice since 1981 and I am still interested in new perspectives from teachers. *a presentation of an understanding of what meditation is and does that is useful even for experienced practitioners, in my own case clarifying my own understanding and giving me ideas on improving my practice. What a disappointment. I can see why this has been discounted to $2.49. I can't even describe how bad the content is. 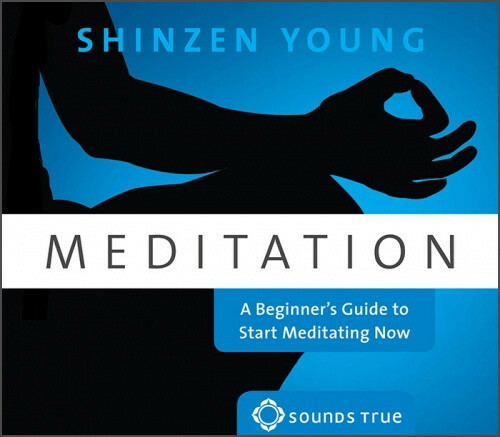 As for the narration, I'll just say Shinzen Young's voice is more of a distraction than a help in achieving any level of meditation, and his delivery is simply awful. I don't get the sense that he is teaching from any level of actual realization, but is simply giving out instructions from a manual that he has read.